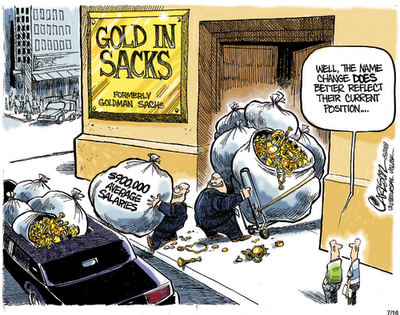 - clueless senators falling over one another to score cheap political points but the sense that outrage against bankers in general, and Goldman in particular, has reached unhealthy levels. - for millions of home owners and investors psychologically unable to admit at least partial fault for succumbing to the madness of crowds and lure of easy money. - some even wonder whether the group’s perceived Jewishness has infected legitimate criticism of it with centuries-old prejudices. Go here for the FT article. Go here for a follow up by TT Ram Mohan in ET.